Former Maldivian President Maumoon Abdul Gayoom has requested his remand hearing scheduled for this Tuesday be postponed to Thursday as his attorney, Maumoon Hameed, is out of the country. In a letter addressed to Acting Chief Judge of Criminal Court Adam Arif this Tuesday, Maumoon said he has been illegally detained since February 5. Maumoon said that his attorney, Maumoon Hameed will be returning to the country on Wednesday. And that he wished to attend the remand hearing with his attorney present. 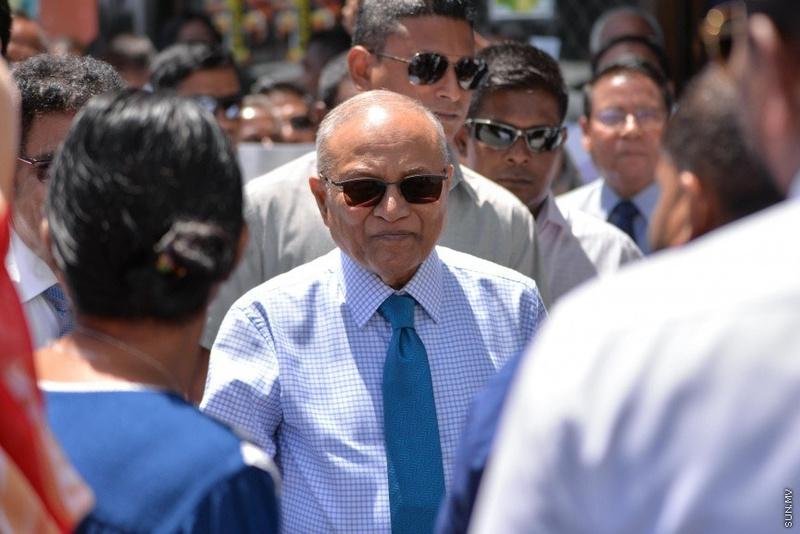 Maumoon said in the later that he has been in detention for over 40 days, and that remaining in detention two more days “will not rectify the illegal treatment against him”. Maumoon is scheduled to be transported to Male’ City for his remand hearing this Tuesday. The Maldives Police Service has not yet disclosed a specific time.